Transfer a UK Pension to Spain. If you’re looking to transfer your UK Pension to Spain, speak to us. We offer UK quality, fee only (no commissions) advice on UK Pension Transfer to expats all around the world with one of our larger regional offices based in the Alicante region, in Spain. We’re acutely aware of just how difficult it is, to know that you’re getting good quality advice when you’re no longer living in the UK. Contact us today regarding your UK Pension Transfer to Spain and you’ll be speaking with a UK Qualified, UK regulated Chartered Financial Planner, that works only on a fee basis (so doesn’t provide advice that is layered with commissions) within 30 minutes. With over 10,000 clients worldwide and 31 Awards (and counting) we’re getting something right! Contact us now to see how we can help you. 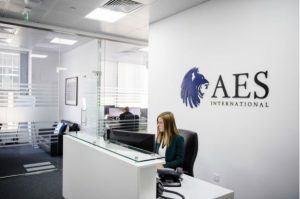 AES International advises expatriate clients worldwide on all financial planning matters including retirement planning, offshore bank accounts, savings and investment, insurance, pension transfers and generating income, from wealth accumulated, to support retirement.